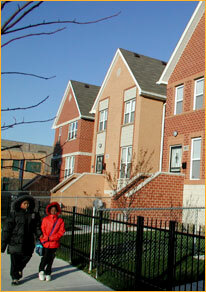 The lack of affordable housing in the Chicago metropolitan region is a problem of enormous proportions. Housing costs continue to escalate while the supply of rental housing has declined. Gentrification is beautifying many areas, but pushing long-time residents out. And the high cost of single family housing throughout the region is causing many families to double up. Housing Illinois asked Belden, Russonello, & Stewart, a nationally respected firm specializing in public opinion and communications, to conduct research into public awareness and opinion regarding the lack of affordable housing in the region. The message guide and reports were developed based on their research and present the findings from 10 focus groups and a survey of 1,000 residents from the Chicago region, conducted in October 2002.